While San Francisco may boast one of the strongest economies in the nation, its streets reflect that of the third world––ridden with needles, human waste and cardboard-box homes. 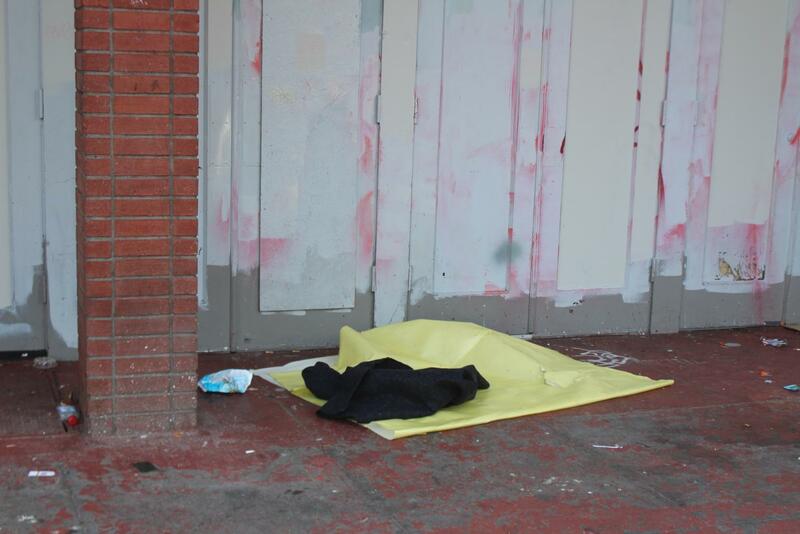 The sight of people shooting up heroin out in the open or needles on the ground in areas like the Civic Center and the Tenderloin is not uncommon. According to the San Francisco 2017 Point-in-Time Count (PITC), approximately 4,300 individuals still spend their nights sleeping on the streets—an increase since the last count of 3,505 in 2015. This crisis begs the need for new resources such as supportive housing units and greater staff to individually counsel addicts; however, these solutions come at a cost. Even for the nation’s richest city, according to the US Census Bureau, the $325 million spent each year to eradicate homelessness and addiction is a hefty cost. Dr. Anaid Yerena, Assistant Professor of Urban Studies at the University of Washington Tacoma, described the plight many individuals find themselves in while living in newly high-income areas. The scenario Dr. Yerena describes is all too familiar to the homeless individuals in the Bay Area, 69 percent of whom were displaced from their homes in San Francisco, according to the 2017 San Francisco PITC. In the past 10 years, the city of San Francisco has done little to mitigate the impact of tech companies pushing into the market. Just as the technology boom took over San Francisco, median home sale prices spiked and have been rising since—the current median sale price in the city is at a record $1.3 million. In order to afford the current median sale price, according to Zillow, an individual would need to make $79.60 per hour. Despite a housing market not conducive to city residents, the city of San Francisco has not implemented regulations on rent and only recently passed Proposition C, a bill to tax big tech companies. Navigation Centers, which help shelter and counsel San Francisco’s most vulnerable homeless residents, are one of the city’s most successful initiatives. Using former school sites or overlooked properties, the city has been able to turn once dilapidated buildings into extensive shelters. Since 2015, the Navigation Centers have brought 1,150 people off the streets and successfully housed 75 percent of them. Despite the Navigation Centers’ apparent success, the homeless population has remained steady over the past five years. 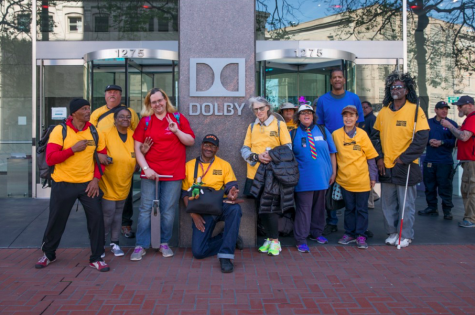 Beyond what the city government has done, non-profit organizations are taking newer approaches to help reintegrate the unsheltered members of the Bay Area. Downtown Streets Team (DST), a low-barrier work experience program, focuses on helping homeless individuals, or “Team Members,” reenter society with job skills while receiving housing or counseling services. Anyone living on the street can walk into a DST meeting during the week and eventually be put on a team to help beautify parts of the city. Through gift card stipends for basic necessities, Team Members are able to support themselves while getting the help they need. Jack Hill, an Americorps Fellow for Community Engagement at DST, was drawn to the organization because of its unique, person-first model. Unlike many larger organizations, DST builds a close-knit relationship with each of its Team Members to establish a sense of community. “Work gives someone a sense of purpose and belonging. It can fulfill you––and when you’ve been living on the streets for so long with nothing to do, it really gives you purpose and is a very powerful thing,” Hill said, adding that dignity and pride are key values of DST’s model. While attending one of DST’s weekly meetings, an aura of positivity and team spirit filled the room. Many Team Members voluntarily walked to the front, sharing their stories on how DST has impacted their lives, providing sentiments meant to fortify the sense of community DST works to maintain. One Team Member claimed that DST “puts the spirit back in you” while another shared an impactful moment they had with former SF Mayor, Ed Lee. The stories these Team Members shared are indicative of the kind of atmosphere DST provides: one of hope and collaboration. DST has secured over 1,600 jobs and permanent housing for people all over the Bay Area. From San Francisco to San Rafael, the organization is tackling one of the Bay Area’s most pervasive issues. San Rafael is not immune to the eruption of homelessness. With an unsheltered population of 233 individuals, it has become an obstacle for the city to overcome. One of the biggest complaints by business owners in San Rafael has been panhandling, which often drives away customers. Karen Strolia, Marin County Project Manager of DST, believes panhandling has a stigmatizing effect on how people view the homeless. In collaboration with the City of San Rafael, DST launched the Put Your Change to Work meters to reduce panhandling while still raising money to help those on the streets. 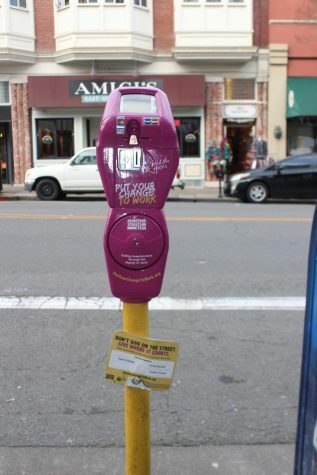 Located all over downtown San Rafael, these bright-purple meters allow passersby to put in their change. “The meter money helps support in a very direct way. Once we had a guy who needed steel toe boots for his new job; steel toe boots are very expensive, but the meter money helped us get those for him.” Strolia said, adding that $6,000 is enough to help three individuals out of homelessness. “We had a guy with pneumonia. We didn’t think he was gonna make it. He went to the hospital to get treated and I picked him up; he was staying outside and it was torrential downpour. I just thought to myself, ‘This is awful.’ Because of the meter money, we were able to put him up in a hotel for three days. He ended up getting better and is now at a job in tech in the city. He’s got a beautiful apartment and is doing really well,” – Karen Strolia on the impact of the meter system in San Rafael. While the meter system has been successful in Marin, it has yet to make its way into San Francisco where the homeless crisis is most visible. For those sleeping on San Francisco’s streets, peace and quiet are hard to come by. SF Police officers and Department of Public Health officials have cracked down on those sleeping on the street—in a recent video published by the Coalition on Homelessness, several individuals described the sleep deprivation associated with being forced to move. Jennifer Friedenbach, executive director of the Coalition on Homelessness, works to protect the rights of individuals living on the streets. One of the most common human rights violations she sees is law enforcement officers confiscating their belongings. “It’s losing your survival gear, losing something to go under when it’s raining. It lowers people’s life spans. If they lose their stuff to sleep with, the consequences can be sleep deprivation. They may have medication with them––if that gets lost, they aren’t able to get well. It makes it harder to stay in connection with medical services too,” Friedenbach said. In a case earlier this year, the Ninth U.S. Circuit Court of Appeals in San Francisco ruled it unconstitutional for the city to impose criminal penalties for sitting, sleeping or lying outside on public property. Despite the ruling of this case, which was intended to protect the rights of those experiencing homelessness, Friedenbach believes more needs to be done. “At the end of the day, in reality, the police do what they want,” Friedenbach said. Friedenbach was the principal architect of Proposition C, an initiative meant to raise an additional $300 million to eradicate homelessness from taxing corporations in the city with revenues over $50 million. Backed by Marc Benioff, CEO of the city’s largest private employer, Salesforce, as well as 60 percent of San Francisco residents, the proposition passed with flying colors. San Francisco still has a long way to go before eradicating the plight of homelessness altogether. After Gavin Newsom’s ineffective ten year plan, which failed to reduce the number of homeless in the city despite opening shelters and spending hundreds of millions of dollars, it is evident that the city needs to transform the way it approaches this crisis. While several organizations have found ways to help transition the homeless into housing and off of the streets, their success is largely dependent on the availability of housing in the city. “If cities want to solve the issue, it’s not just about housing. They need to start at the root and treat the causes of homelessness in the first place,” Yerena said. In the near future, SF Mayor London Breed will look to expand the city’s housing program and allocate more funding to solve the crisis.